Bookshelf speakers are often a great choice for a smaller room or study, as they are compact in dimensions and have a limited bass response, which will minimise the possibility of unpleasant 'bass boom' in the room. 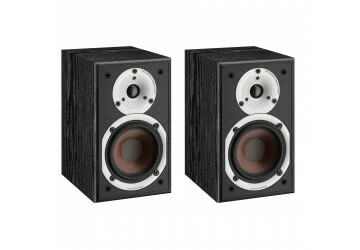 Bookshelf speakers are more often placed on top of speaker stands for best possible sound quality, and can also be used as the rear surround sound channels of a 5.1 home cinema surround sound AV speaker package. Bookshelf speakers excel in producing a very good stereo image, with articulate mid-band and clean, clear high frequencies. Prices start below £100 per pair - as you spend more, the sound quality will gain in refinement, detail, sound staging and clarity. A good pair of loudspeaker stands will cost approximately £80, and quality speaker cables will be a worthwhile investment. Quality speaker cables can be made to your required length, expect to pay £3 per metre, and also invest in some gold plated banana plugs to make connection to your amplifier and loudspeakers reliable and safe. Ideally driven from a hi-fi amplifier, stereo receiver, Sonos system, or AV Receiver, bookshelf speakers are capable of performing well with music and movies alike. For more information on purchasing and choosing stereo speakers, see our "How to choose stereo speakers" article on our blog.